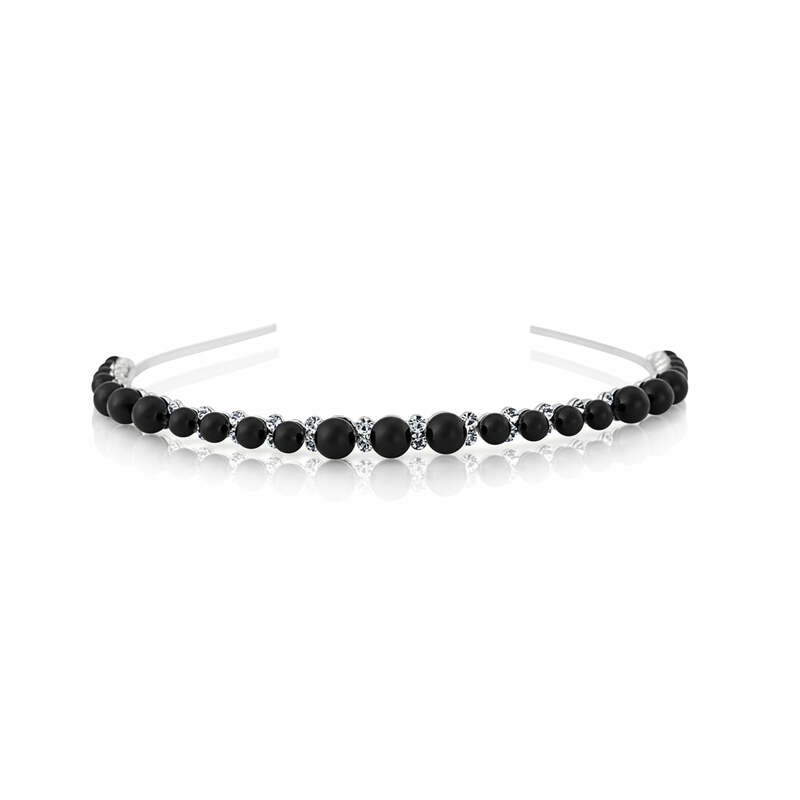 A chic monochromatic headband featuring jet pearls and dainty crystal highlights. It’s fair to say our Ebony Elegance Headband will become your go-to piece for every occasion that demands a touch of chic embellishment. Adorned with a single row of deepest jet pearls interspersed with glistening clear crystals and set on a simple silver tone band, it’s monochromatic hues will take you from day to evening with a timeless style unique to black hair accessories. The epitome of a style chameleon, achieve a Starlet worthy Hollywood look for a glamorous event or play up its 60s Chic influences and adorn a backcombed beehive for cool Mod style. If you are looking for classic black wedding hair accessories for your bridesmaids, our Ebony Elegance Headband is the answer to your bridal party prayers. Whether teamed with short dresses for a cute 50s look or with Old Hollywood long gowns, this fabulous accessory will enhance your black and white wedding theme to utter perfection.